Quest Parap features studios, one, two and three bedroom serviced apartments. 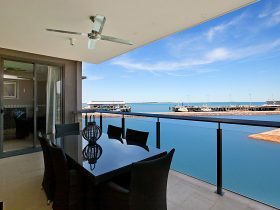 This property brings both stylish and sophisticated accommodation into Parap for the leisure and corporate traveller. 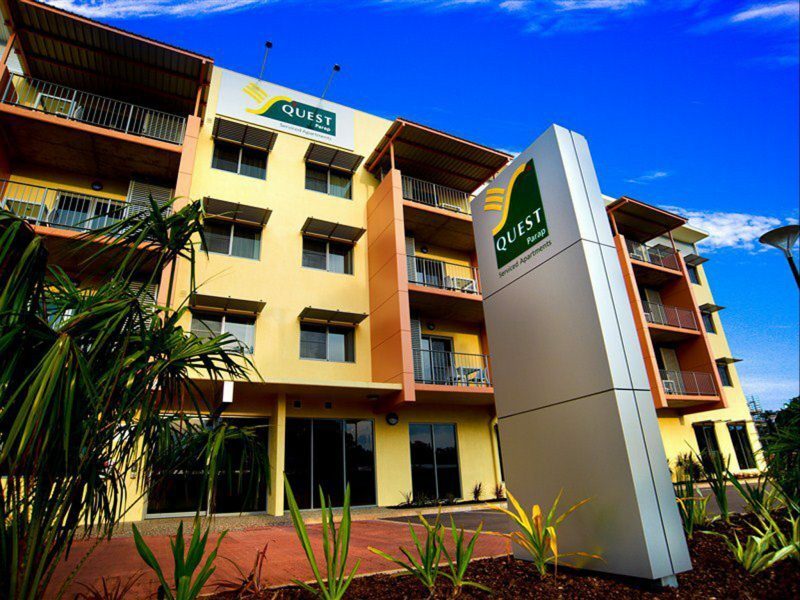 Quest Parap is conveniently located a five minute drive from the Darwin central business district. 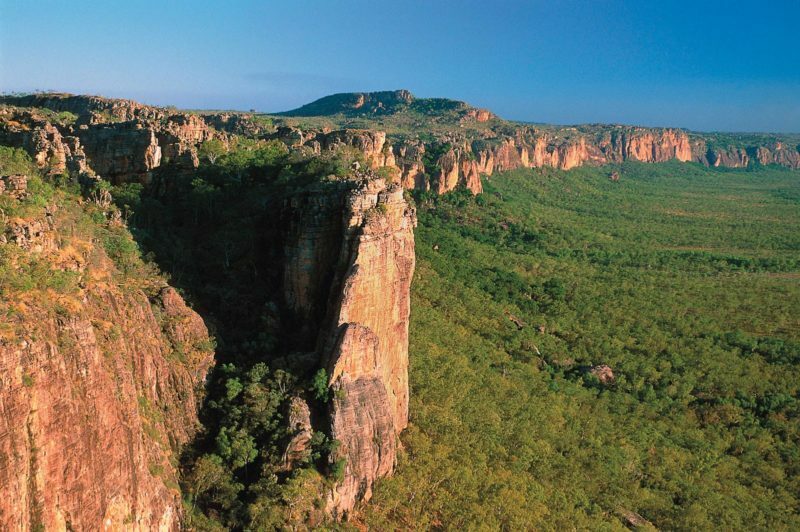 Parap is a classy little shopping village known for its colourful markets held every Saturday morning, year round. 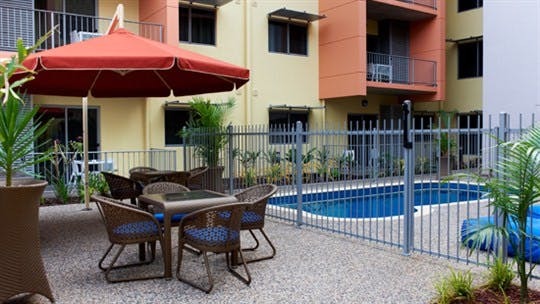 Parap is also close to public transport and sporting facilities, including the Darwin Turf Club. Apartments include living and dining areas, private laundry facilities for the one, two and three bedroom apartments, fully equipped kitchens, apartment balconies, as well as conference facilities. Make yourself at home with a studio apartment which accommodates up to two guests in a king size bed and ensuite. In addition the room has a 32 inch LCD television with mini hi-fi system, including DVD player. For all your business requirements you will find a separate work desk with in built sanctuary unit to charge any phone you require, and connection to broadband internet. 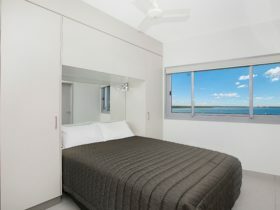 The one bedroom fully equipped apartment can accommodate two guests in either a king size bed or two single beds. Featuring separate living and dining areas and private laundry in your large bathroom. 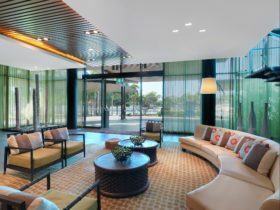 In addition the room has a 32 inch LCD television with mini hi-fi system, including DVD player, dining room table to seat four, separate work desk with WiFi internet access, leather lounge and your very own private balcony with outdoor setting. Offering space and privacy the two bedroom apartment can accommodate up to four guests. The bedding configuration consists of two kings size beds or king and 2 singles. 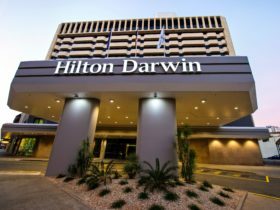 In addition the room has a 32 inch LCD television with mini hi-fi system, including DVD player, dining room table to seat six, separate work desk with broadband internet access, leather lounge and your very own private balcony with outdoor setting. 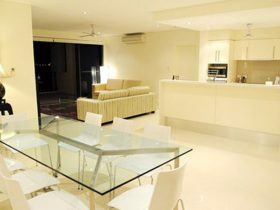 The three bedroom apartments feature a separate lounge area and can accommodate up to six guests. Two of the king size beds can be split into single beds if required. Featuring separate living and dining areas, private laundry and two bathrooms. In addition the room has a 32 inch LCD telivision with mini hi-fi system, including DVD player, dining room table to seat six, separate work desk with broadband internet access, leather lounge and your very own private balcony with outdoor setting.